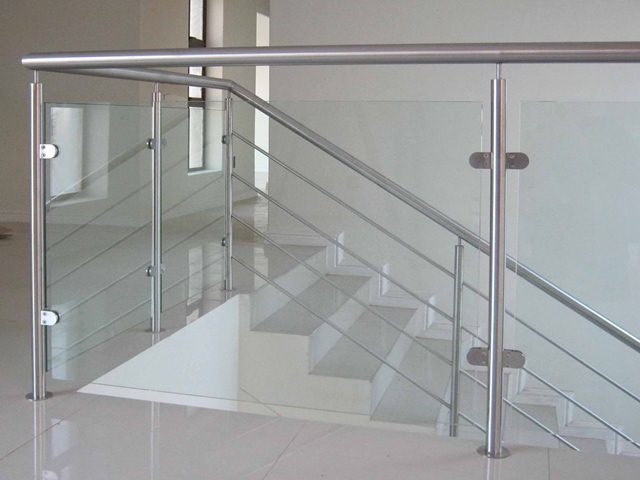 Glass railing is a fairly recent innovation in the construction industry. 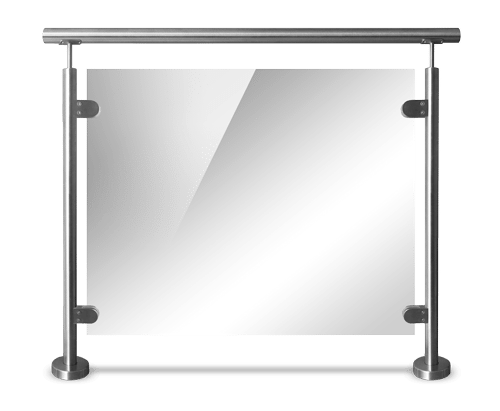 Despite its recent discovery, it has quickly reached the top of designers’ preferences. 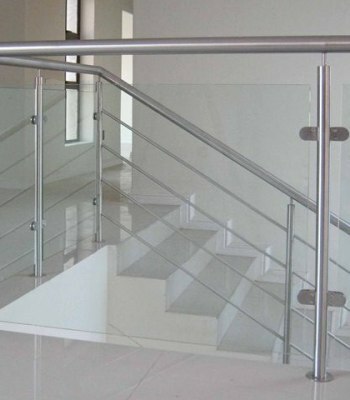 Today, interior glass railings are commonly found in homes, office buildings and shopping malls. 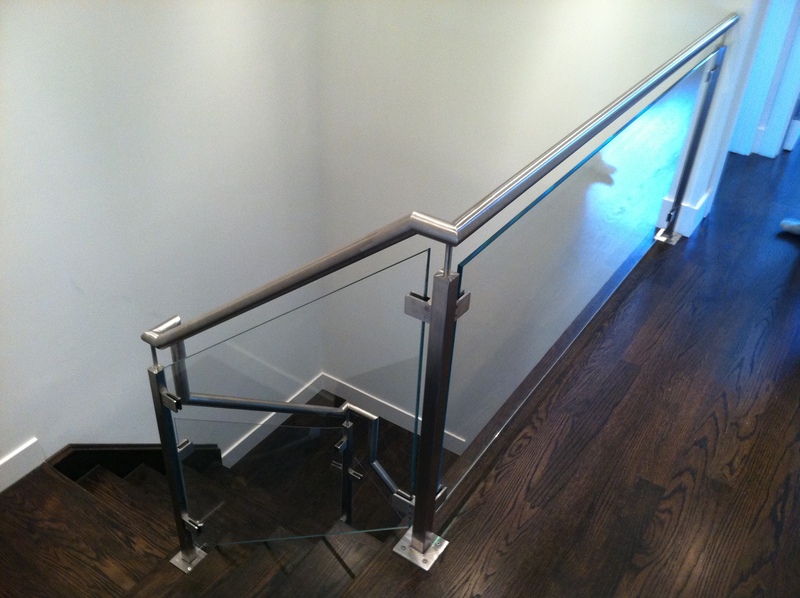 The most important purpose of any railing is that of support (preventing injuries). 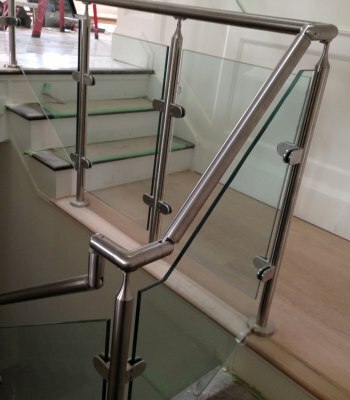 Yet, when combining stainless steel with tempered glass, the result is not only sturdy, but also very eye-catching. 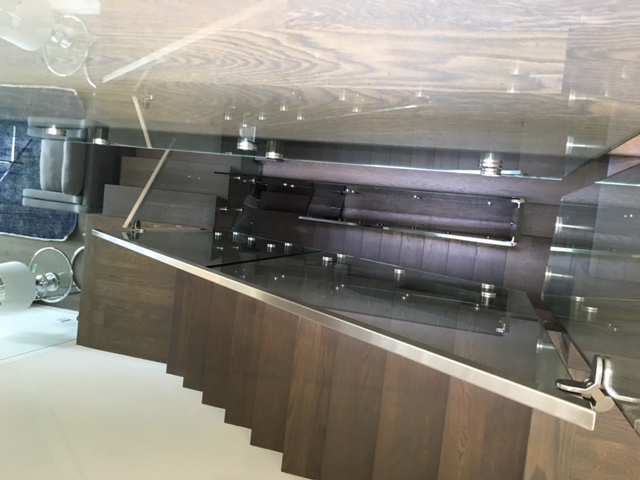 Surface mounted (or top mounted). 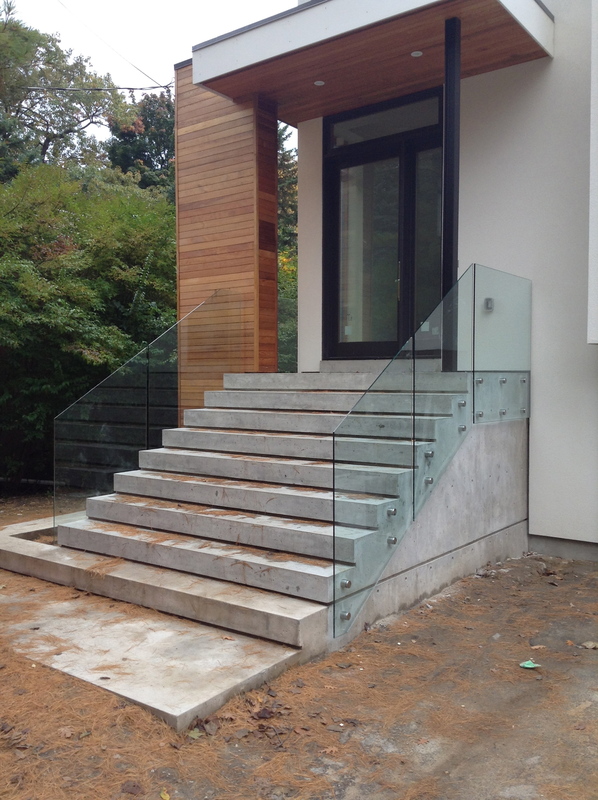 This method requires that the aluminum railing’s posts have base plates attached. 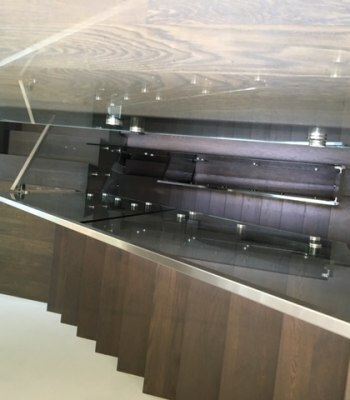 Through the base plates fasteners will be installed in order to fixate it to the ground. 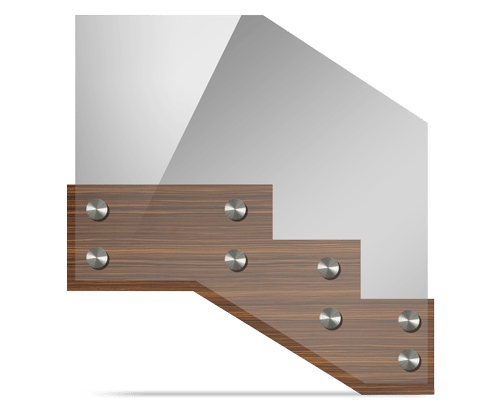 If the substrate is made of wood, hex bolts with nuts or lag screws can be used. 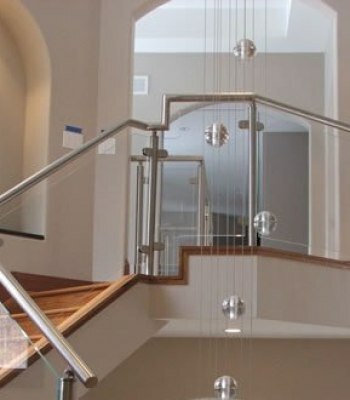 This first method is the less sturdy one and it is typically used in homes and other interiors where there aren’t many dangers to be prevented by the railings. 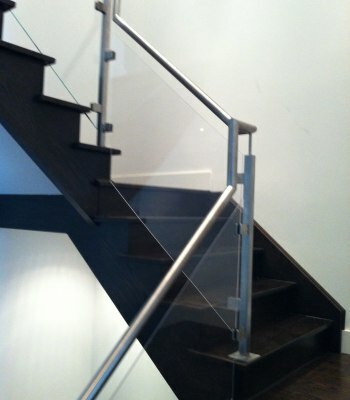 However, it is the cheapest option for installing aluminum railings and this is why most people prefer it. 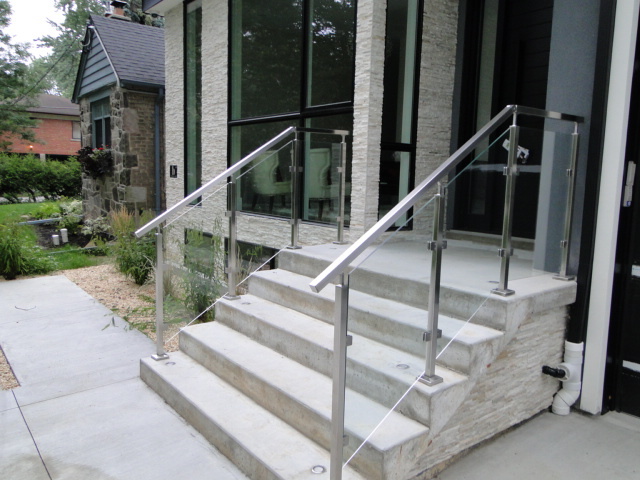 Fascia mount is a type of aluminum railing mount that involves the attachment to a vertical face of a deck. 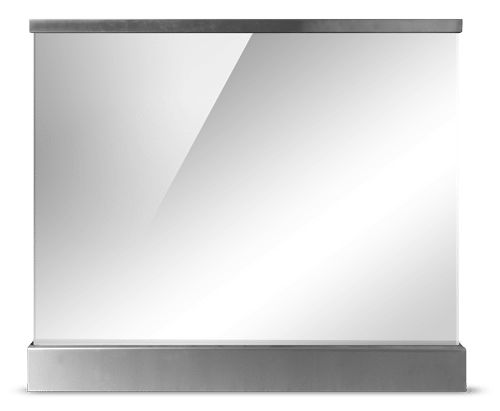 It is up to 40% stronger than the surface mount and, thus, harder to install. 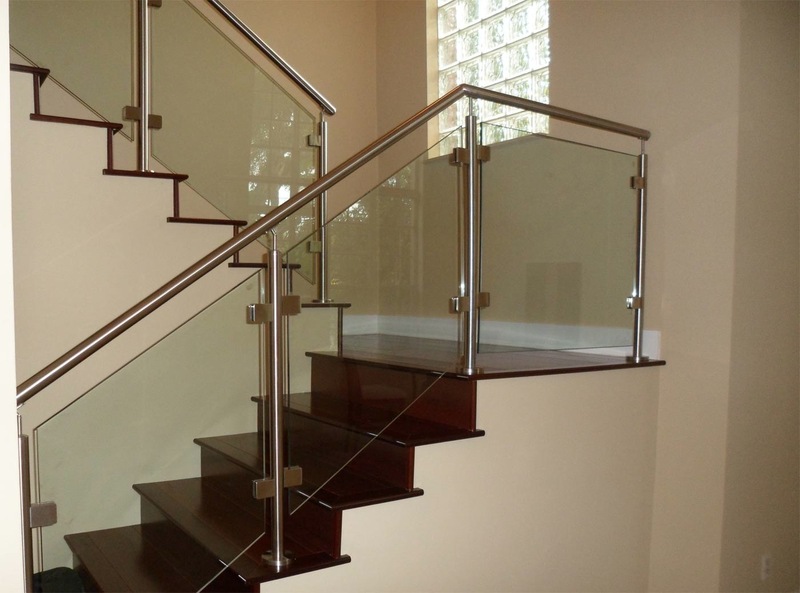 It is most commonly used for outside railings, especially for small balconies, since they don’t take over too much space. 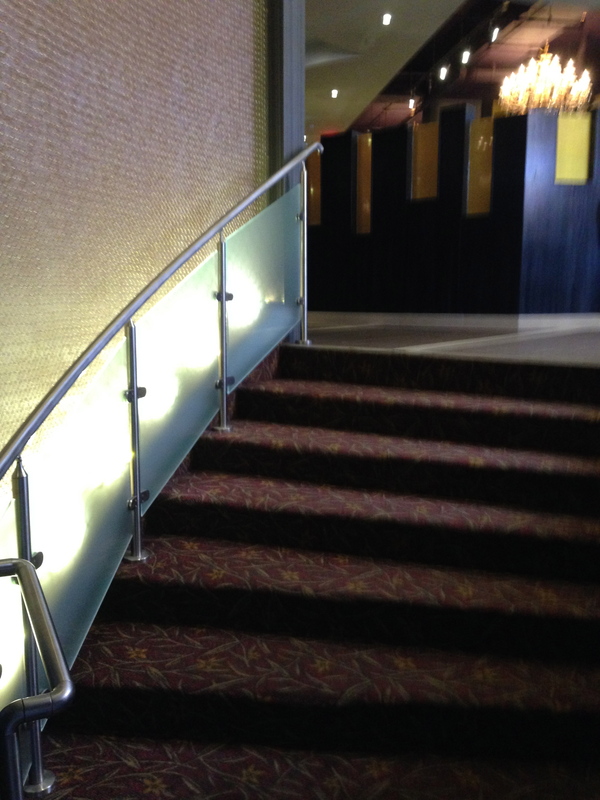 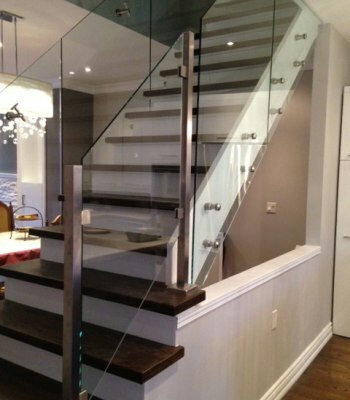 Is Glass Railing Right For You? 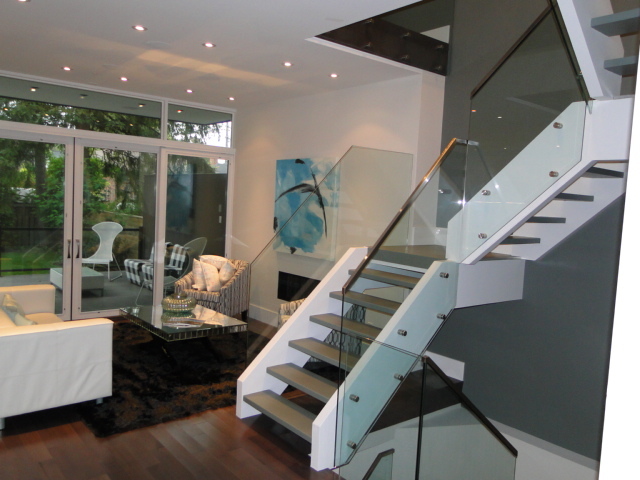 They give an elegant note to any interior. 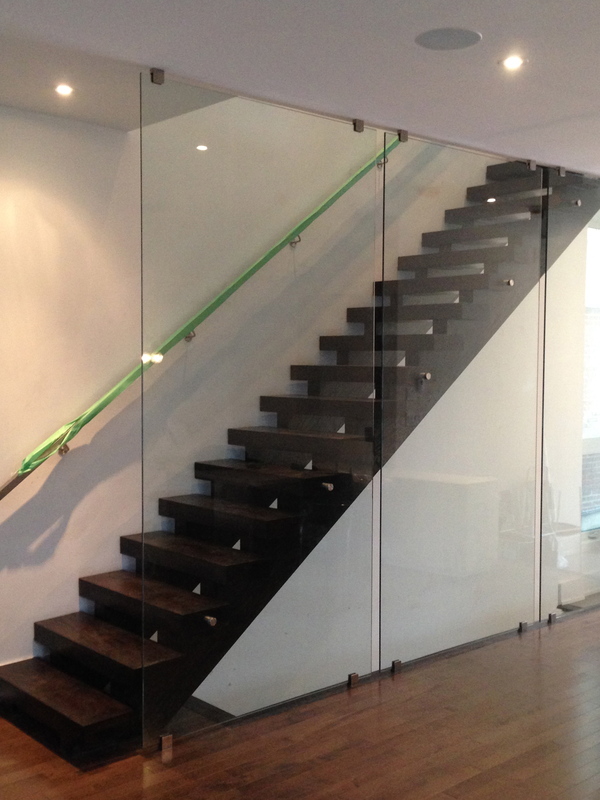 The combination of tempered glass and steel gives an urban, modern and elegant look to any home, office space or shopping area. 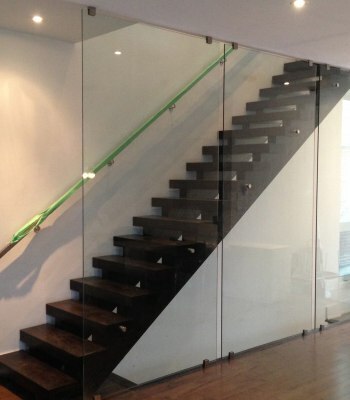 They can easily blend in with any other fabric. 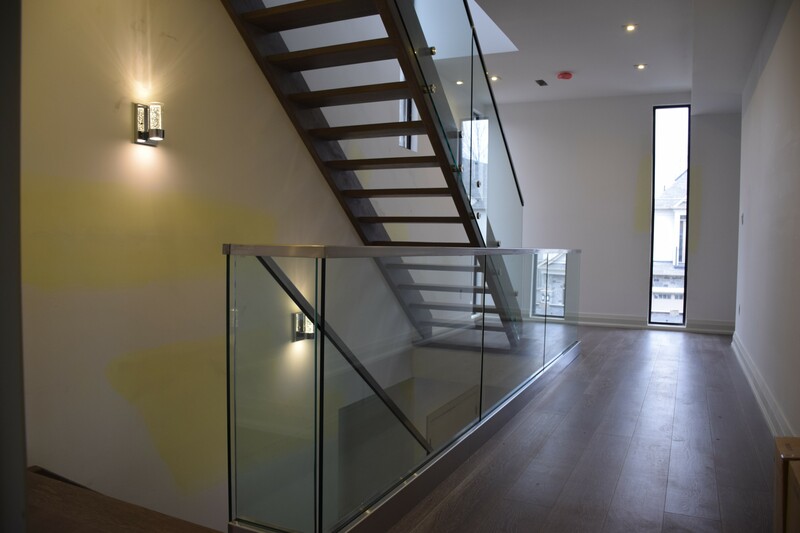 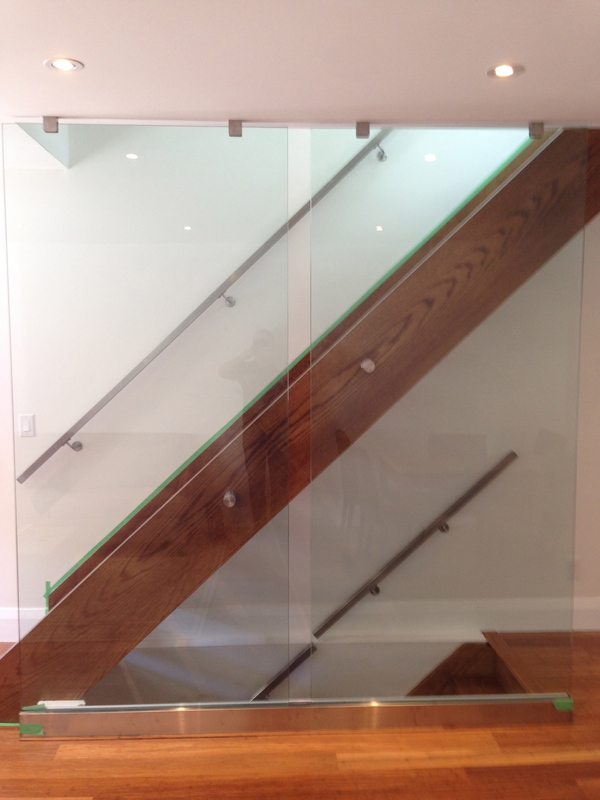 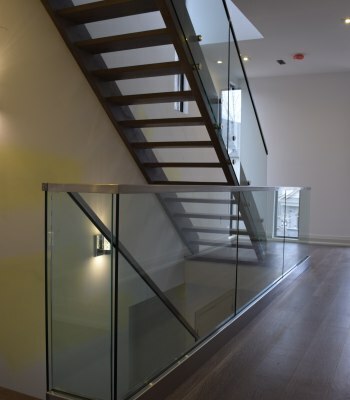 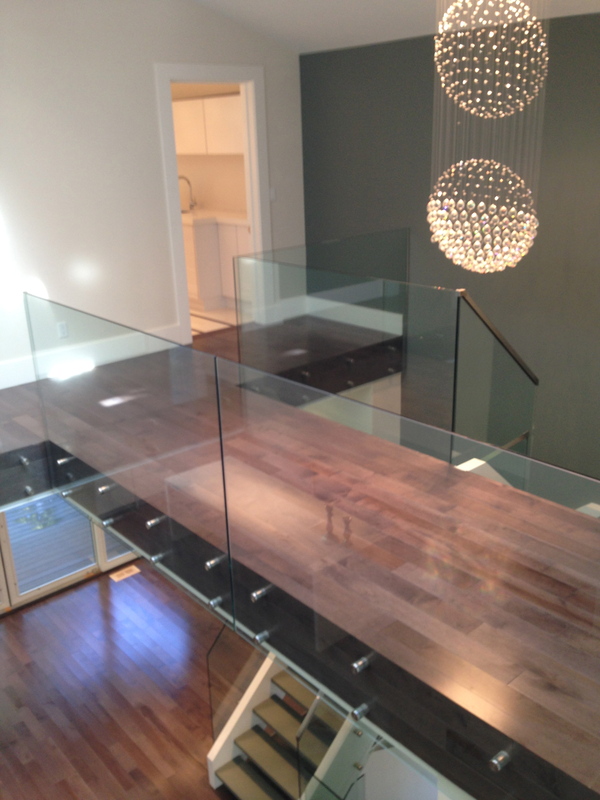 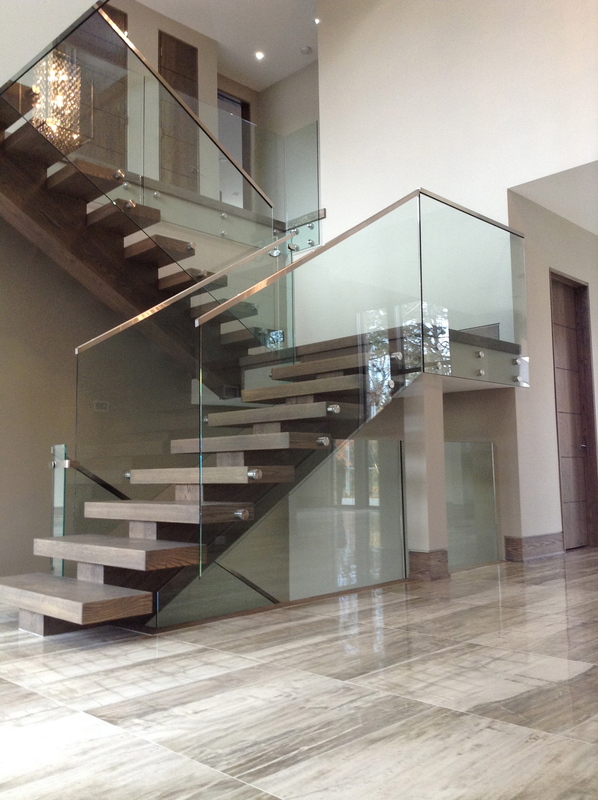 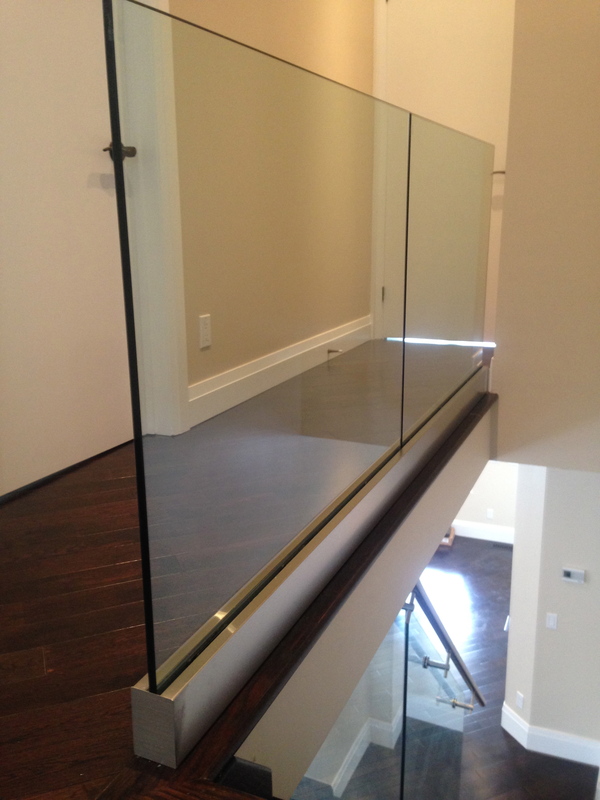 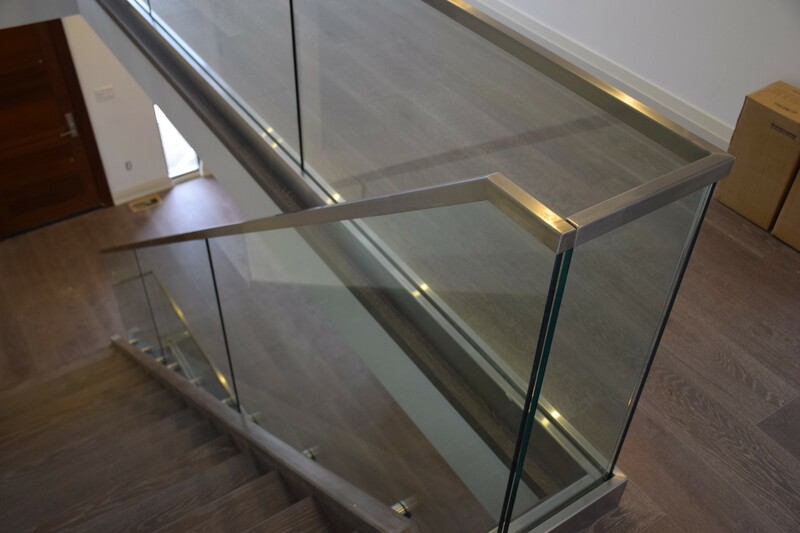 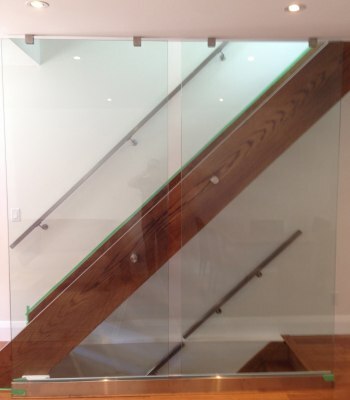 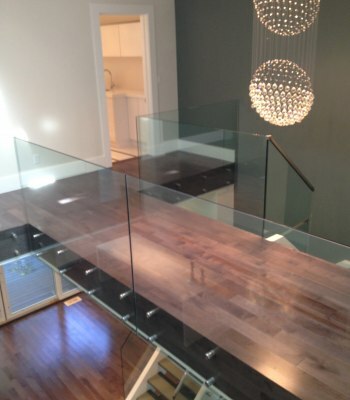 Glass railings can be placed in concrete, wood or glass surroundings and look amazing in each of these situations. 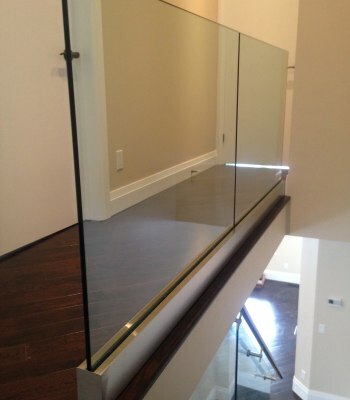 Makes every space look larger. 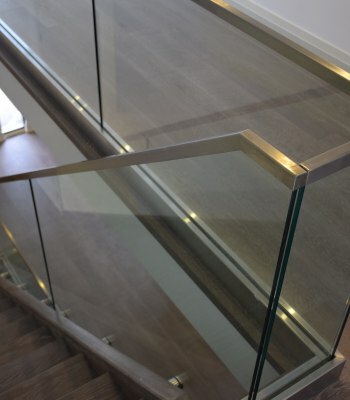 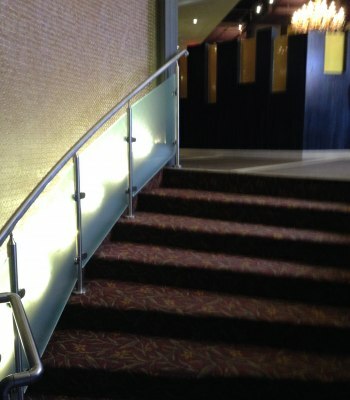 Since glass is transparent, it looks like the railings are inexistent. 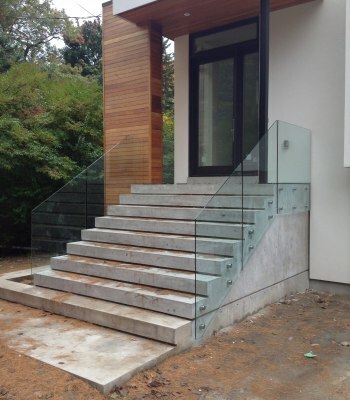 Thus, they don’t divide the space like wood or brick ones do. 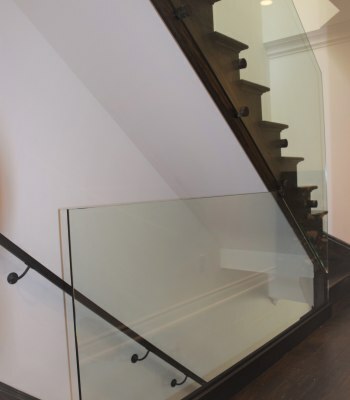 They are low maintenance. 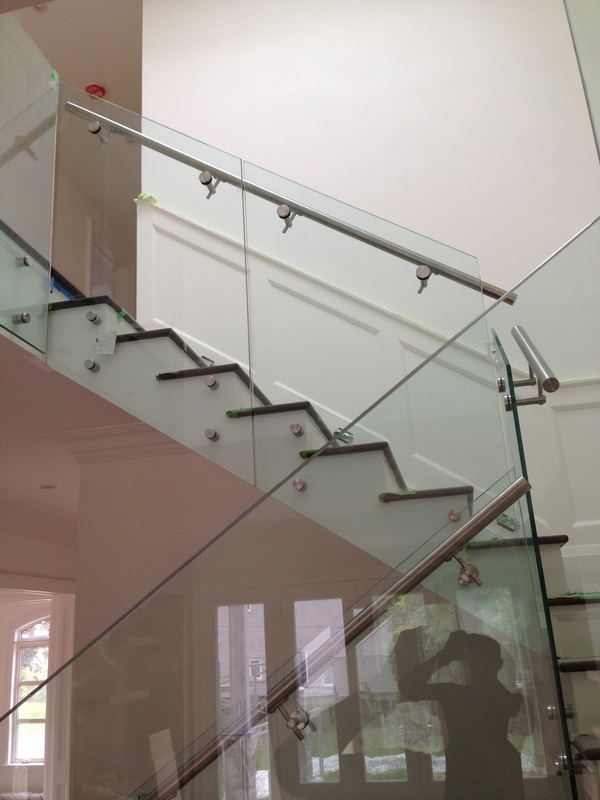 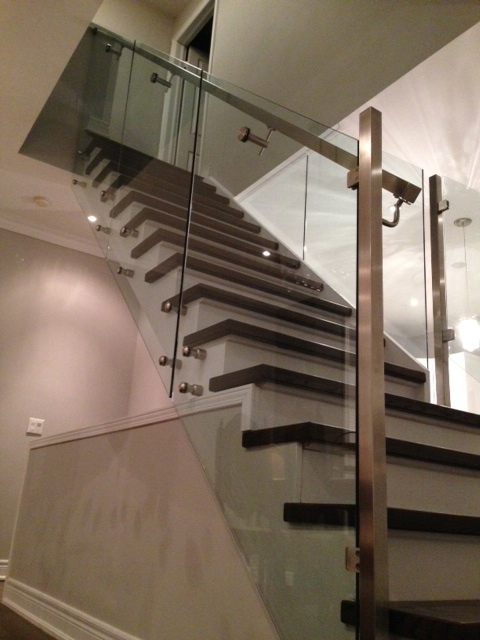 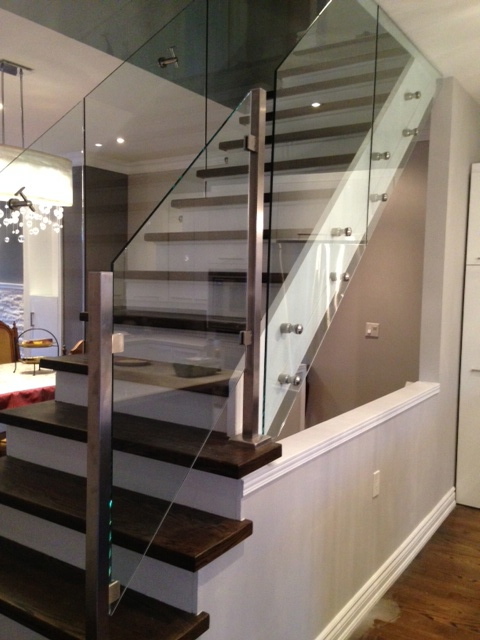 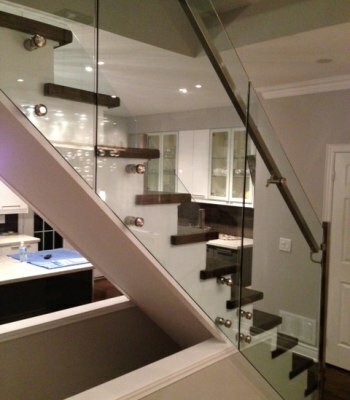 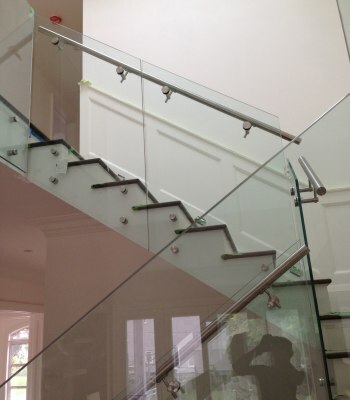 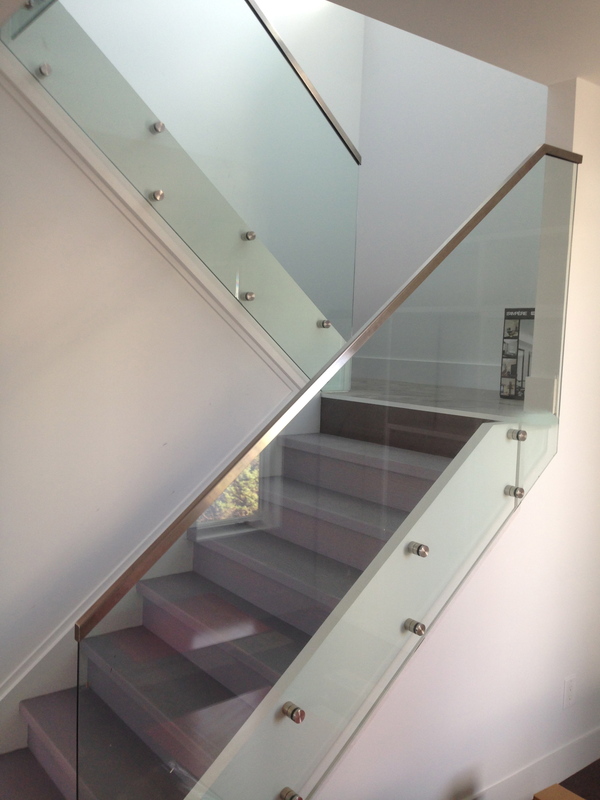 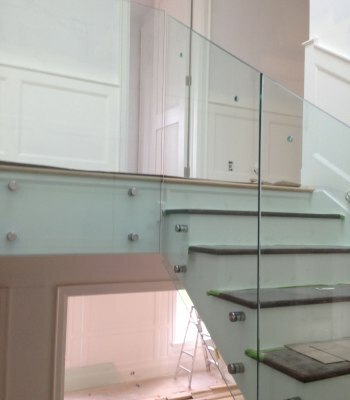 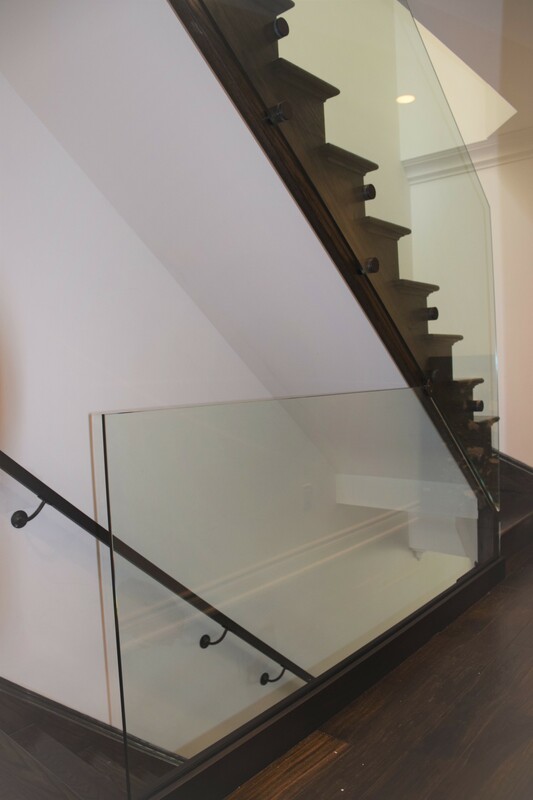 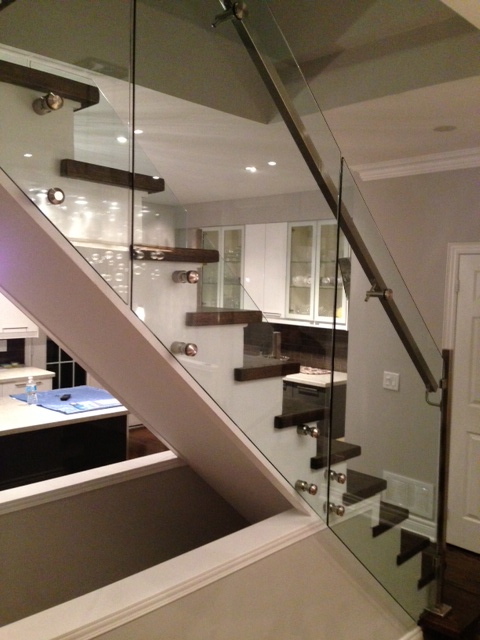 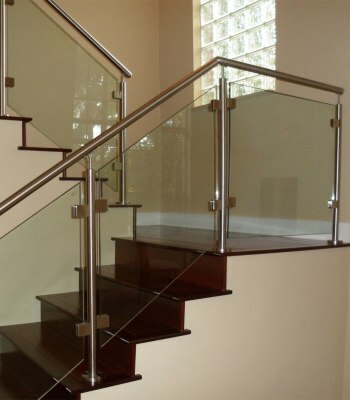 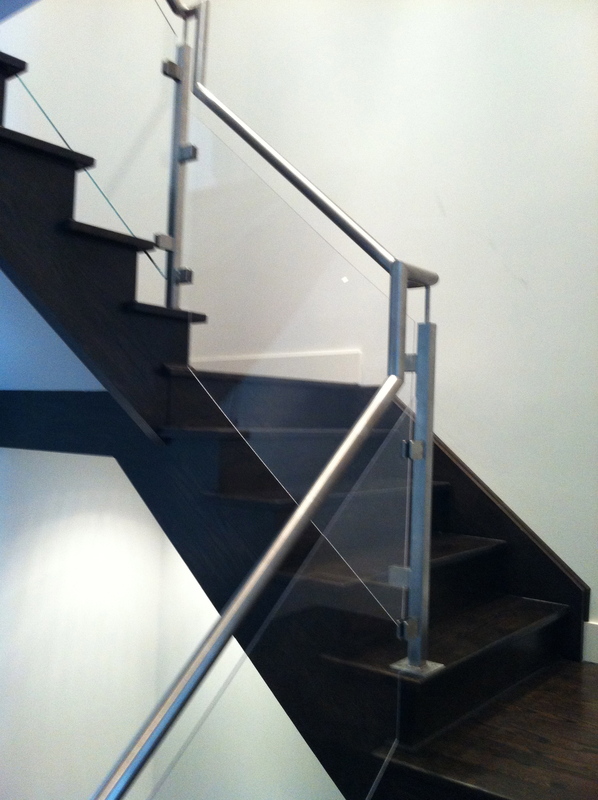 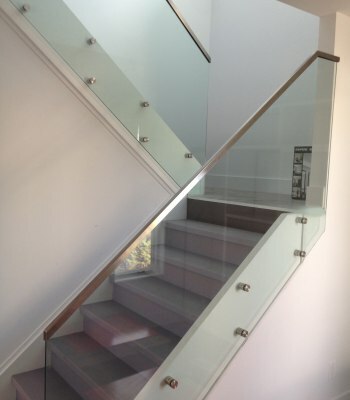 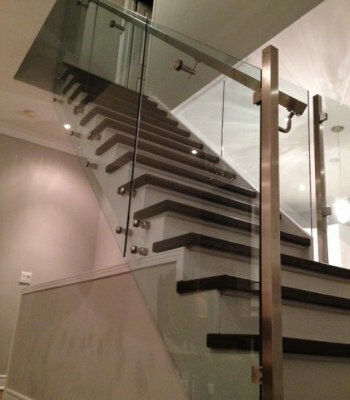 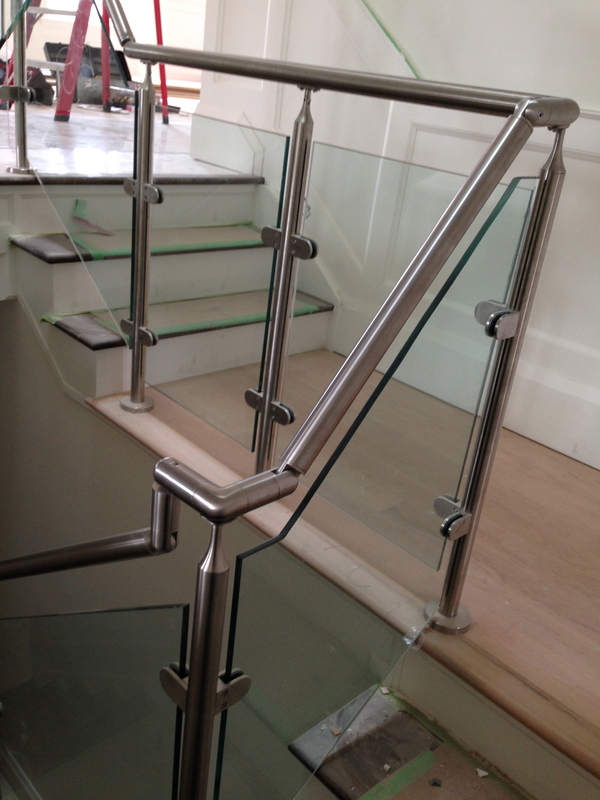 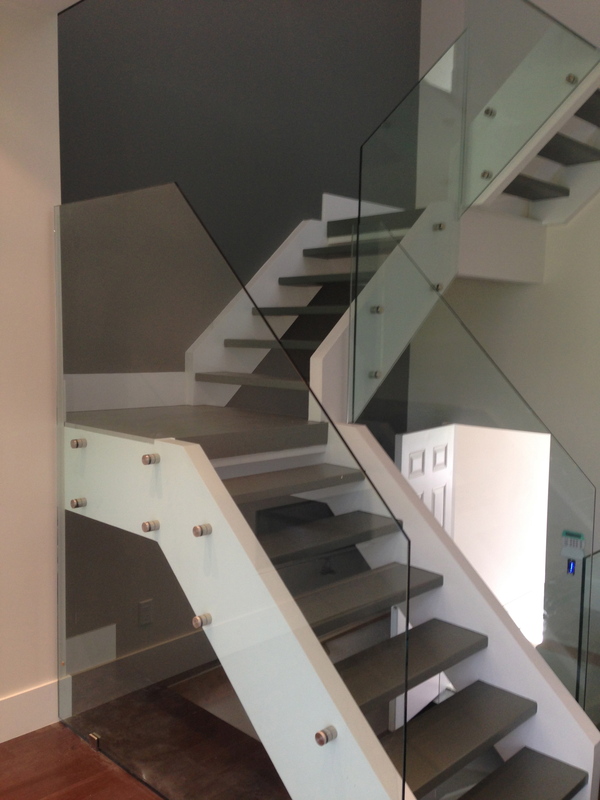 Glass railings need virtually no other investment after their installment. 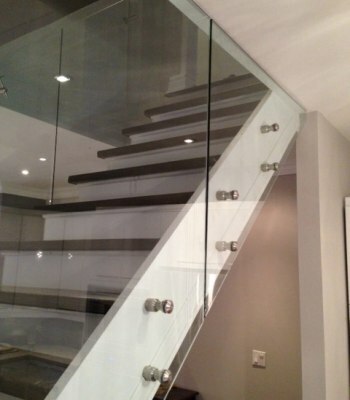 You simply need to wipe them with a clean, moist cloth and they will look as good as new ones for ages. 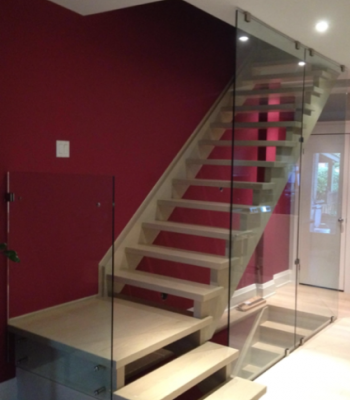 You will never need to invest in special solutions or polishes. 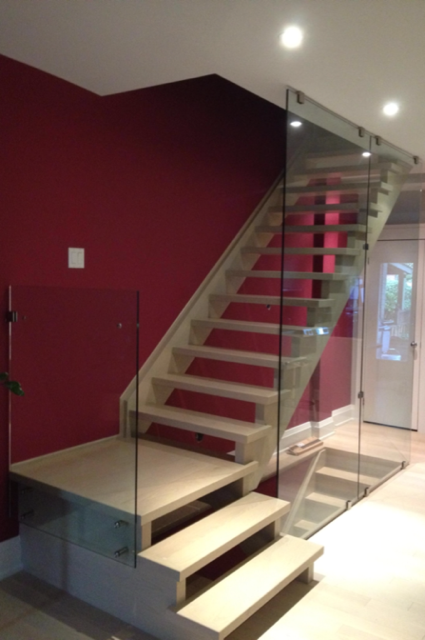 It is just as easy as it seems. 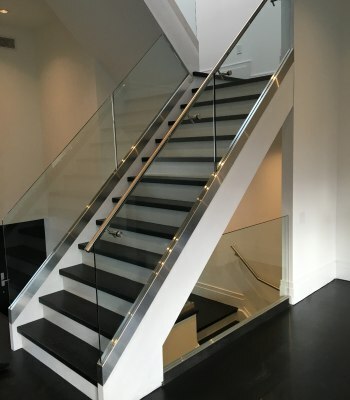 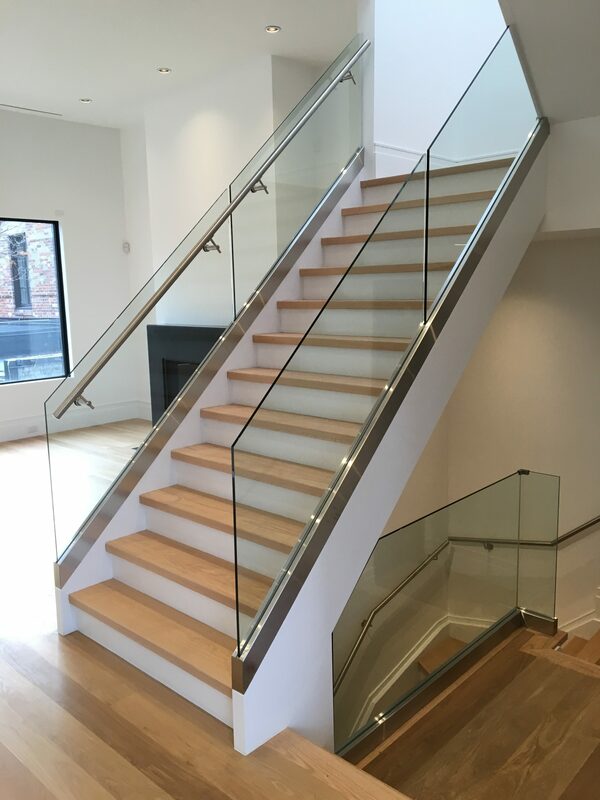 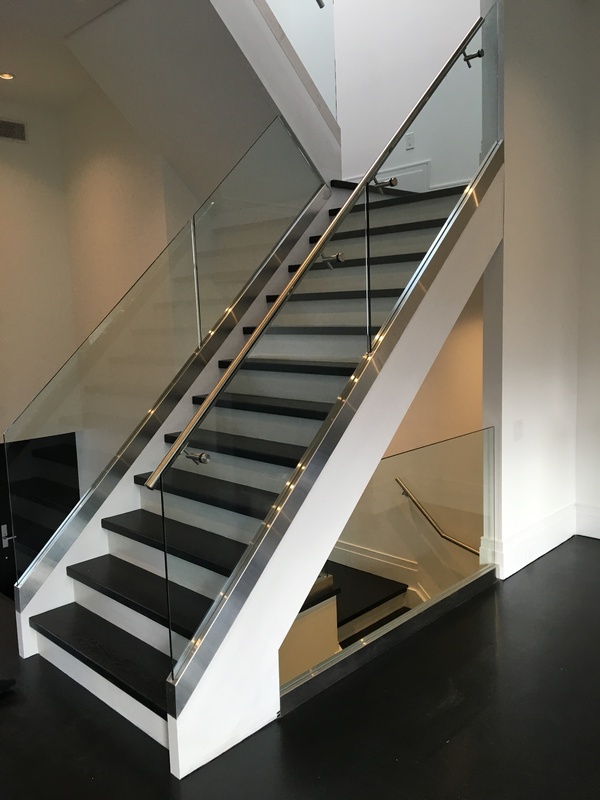 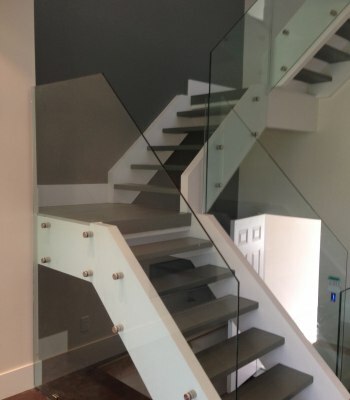 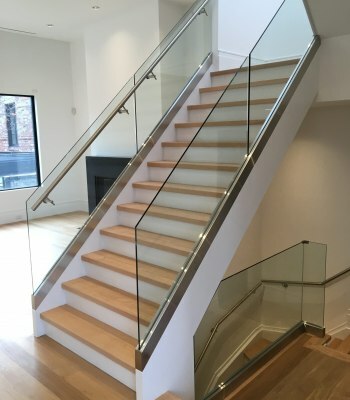 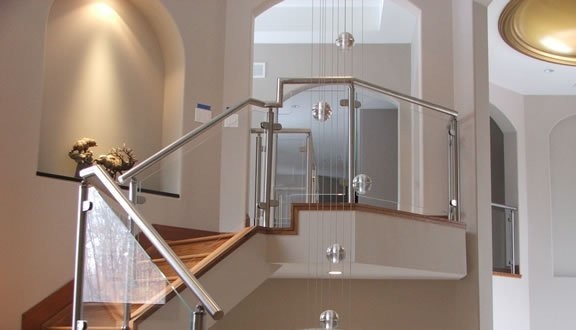 Whether you are looking to install interior glass railings in your home or in the shopping mall or office space that you are building or renovating, Global Aluminum Solutions is your ideal partner. 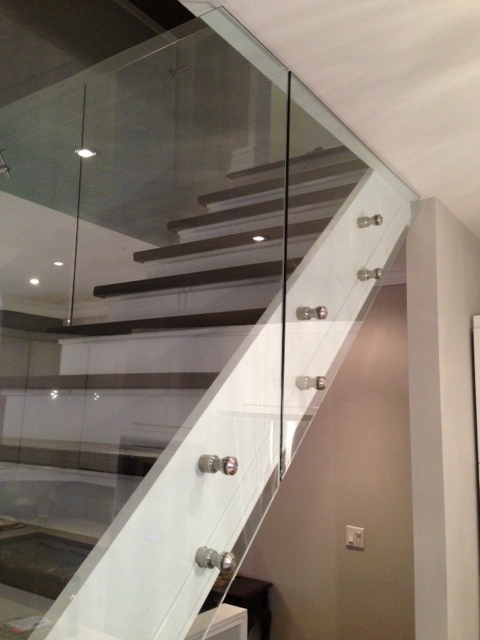 We have a vast experience and expertise in this area. 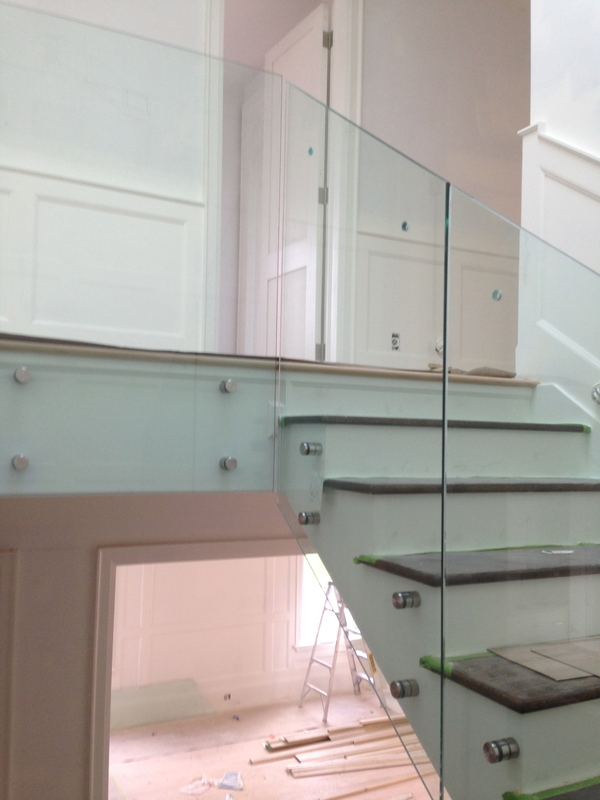 We can install glass railings on posts or stand-offs and you can always opt for the framed or for the non-framed type. 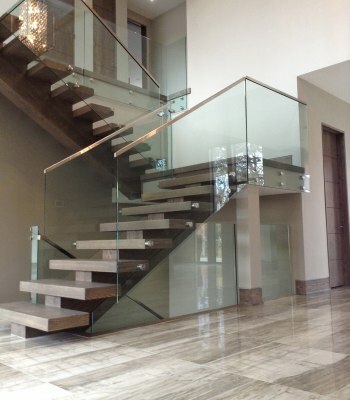 Whatever your vision, we can make it happen. 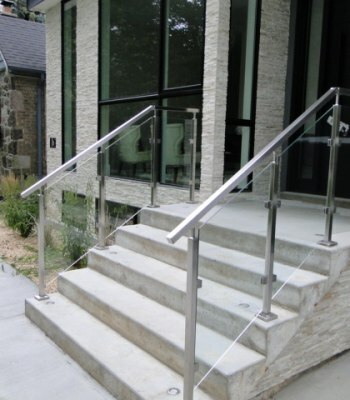 Global Aluminum Solutions can deliver projects to home owners, designers or contactors. 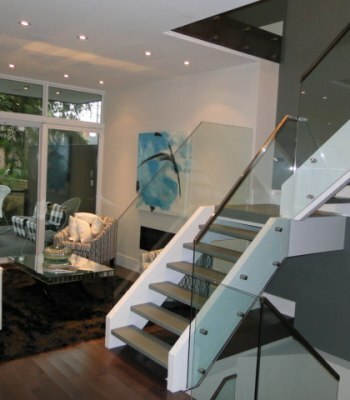 Irrespective of the size and degree of difficulty of the project, we can tackle it in record time and at fair prices. 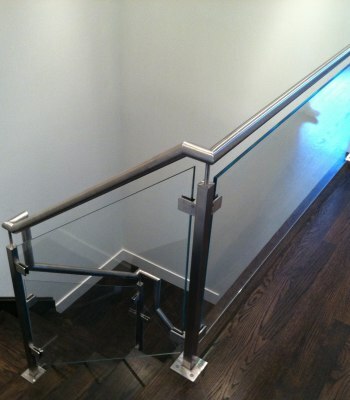 Call us today in order to get a quotation or to learn more about our services.